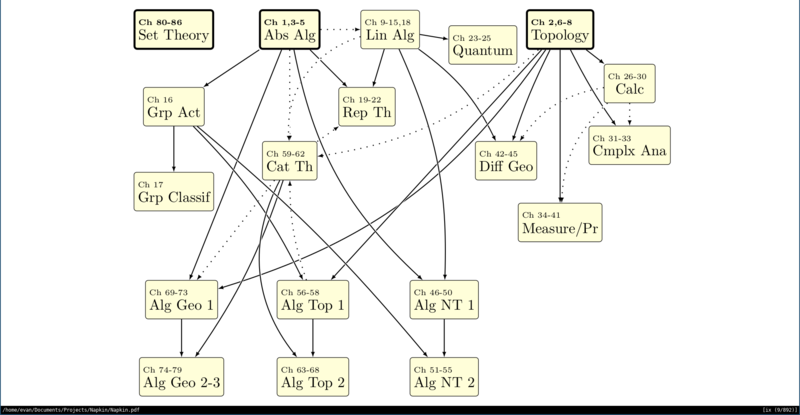 The recent v1.5 is a new update which revises many of the earlier chapters as well as adding new content in real analysis, measure theory, and algebraic geometry. It is however even more visibly incomplete, with several chapters scheduled but not yet written. In addition, many chapters still lack problems or solutions. See link above for the most recent draft, and here for an listing of all drafts. You can also view the source code on GitHub. I would very highly appreciate any corrections, suggestions, or comments. Man, if I had forty hours instead of forty minutes, I bet I could actually have explained this all. This book is my attempt at those forty hours. This project has evolved to more than just forty hours. Bonus: Let's solve Pell's equation!